The gold coin flowers (Asteriscus maritimus) planted in our yard attract a goodly number of leafcutter bees and hover flies (aka flower flies and syrphid flies). But if you look closely, gold coins attract something else--arachnids. 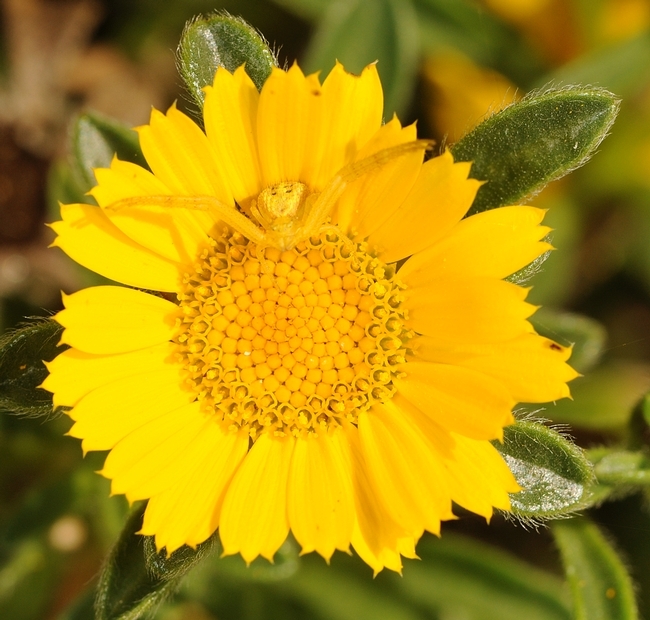 This little crab spider (below) blends in so well that at first glance, it's not easy to spot. And that's the key. Perfectly camouflaged, it awaits prey.